This bowl of soup is packed full of nutritious vegetables to help fight off any on coming colds. 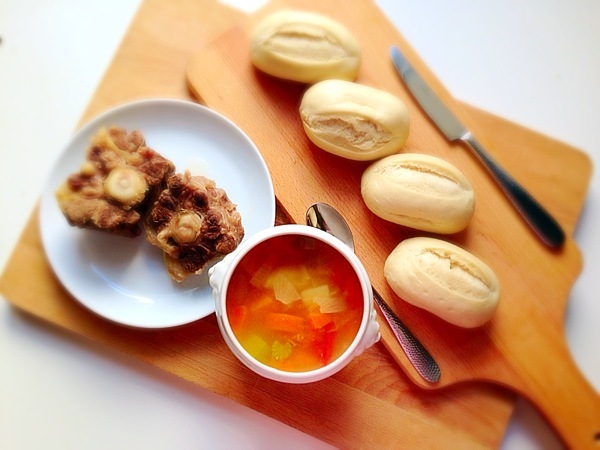 The ox- tails is the star of the soup. It adds a great punch, flavouring the soup and creating a delicious stock which can be used to flavour other dishes as well. If you are not keen on chomping on those delicious ox- tails like a caveman you can use a fork and pull the meats away from the bones. You will be surprised at how much meats falls away from the bones! 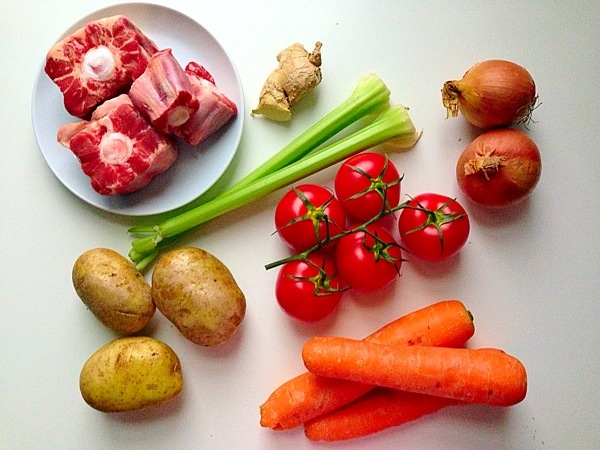 Add the meats into the soup or alternatively use the meat as a ragu for a rich tomato pasta dish. • Bring a pot of water to boil on medium/ high heat. Once boiling, add the ox-tails, skim off any brown residues from the surface of the water. Add ginger, salt and pepper, simmer on a low heat for 1 hour. • Wash, peel and cut the vegetables into your ideal bite size chunks. Add all the vegetables into the soup and continue to simmer for a further hour. Serve.